By proposing that Peter Dutton head a Department of Home Affairs, Malcolm Turnbull has sought to optimise the political benefits of a sound policy decision. Are Prime Minister Malcolm Turnbull's changes to Australia's intelligence and national security arrangements necessary and genuinely transformational, as he claims? Or are they essentially an exercise in political management aimed at burnishing Turnbull's national security credentials and ensuring the continuing loyalty of his key conservative ally and current Immigration Minister Peter Dutton? Critics assert the latter and fear that the creation of a mega-Department of Home Affairs will reduce contestability, efficiency and oversight. In short, the whole exercise is a waste of time, energy and precious resources. If the national security machinery isn't broken, what's the case for change? Much of this criticism is exaggerated or misconceived. Let's start with the politics. 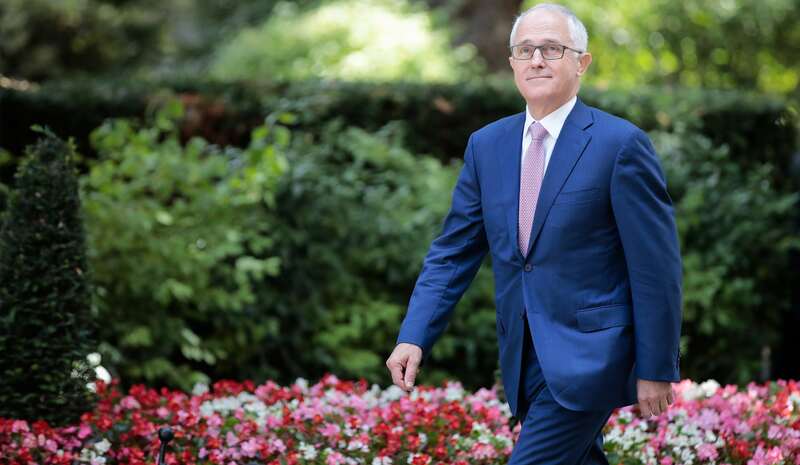 There is no doubt that Turnbull's need to shore up his right flank and mute conservative criticism of his leadership played a major part in his choice of Peter Dutton to head up the new super department. But this is more a case of Turnbull seeking to optimise the political benefits of a decision that was primarily driven by a manifest need to improve the coordination, oversight, funding and strategic management of the sprawling intelligence and national security apparatus and bring it fully into the modern era. The Independent Intelligence Review makes this abundantly clear. It argues that while the expanded, ten-agency intelligence community has performed well, it needs to move to 'an even higher level of collective performance'. This requires new coordinating structures, funding mechanisms to address capability gaps and measures to streamline legislative arrangements and strengthen trust between the intelligence agencies and the Australian community. Much of the public commentary has missed the key point that the rationale for reform of Australia's intelligence system, articulated by the review, applies equally to the wider national security architecture. It is a powerful argument for centralising core national security strategy, policy and operations in one department. Turnbull's decision reflects international trends and brings Australia into line with the US and UK, our principal partners in the Five Eyes intelligence community. The US, UK, Canada and New Zealand all have a single point of intelligence coordination and are grappling with the same complex security threats that confront Australia. Among the most challenging are the political and strategic disruption caused by the fragmentation of the Western-led international order; the exploitation of the internet and social media by hostile states, terrorist groups and criminal organisations with global reach; an upsurge in violent extremism and espionage; and the increased vulnerability of critical infrastructure, including financial systems, to cyber-attack. Yes, the system isn't broken. And it's clearly far better joined up than before 9/11 ushered in the national security era. But asserting that no change is necessary flies in the face of best practice risk management, which is to anticipate threats, structure for them and build resilience. Such an assertion ignores recognised deficiencies in the current architecture and practices that Turnbull wants to remedy. These were strikingly evident in the less-than-whole-of-government response to the Lindt Café siege and the distinctly unjoined up evaluation of foreign threats to critical infrastructure, intellectual property and our democratic institutions in recent years. On the intelligence side of the house, the big winner is the Office of National Assessments (ONA), which will have its analytical capabilities doubled and be subsumed into a more effective intelligence coordinating body, the Office of National Intelligence (ONI). This change should ensure that performance benchmarks are met, improve the capacity for independent national assessments and entrench much-needed contestability within the intelligence process. Far from being weakened, oversight and accountability of the intelligence and national security community (which is already high) will be further strengthened by the expanded remits of the independent Inspector General of Intelligence and Security and the Parliamentary Joint Committee on Intelligence and Security. Another welcome improvement is the long overdue attention given to developing strategic priorities for investment and resource allocation. Excluding defence, spending on intelligence and national security has more than doubled since 2001 to $7 billion. Making sure that this money is spent wisely, across the enterprise, will be a task that falls to Dutton's new department and ONI. However, he now confronts a problem of his own making. By announcing the super department at the same press conference as the findings of the intelligence review, Turnbull ensured media focus on the politics around Dutton's appointment rather than the review itself. This worked against serious analysis of the important and well-argued recommendations of the intelligence review by opening up an obvious avenue of attack for Labor, the Greens and the minor parties in the Senate: that the Home Affairs decision was all about Turnbull's political interests rather than the national interest. The current national security system has evolved incrementally, with bipartisan support, over 70 years, punctuated by two major periods of change: the establishment of the foundational architecture in the post-war decade and the watershed 1977 Hope Royal Commission, which led to the creation of ONA to coordinate the intelligence community and provide integrated national intelligence assessments. If Turnbull's mooted changes receive parliamentary endorsement, he can rightly argue that they represent the most significant change to Australia's national intelligence and domestic security arrangements since Hope. His challenge is to make them work.